callawaygolfpreowned has no other items for sale. 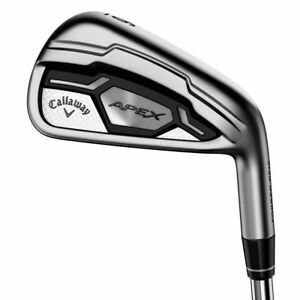 Another great purchase from Callaway Pre Owned. Clubs were in great shape. Fast Shipping and better than described!!! I have thoroughly enjoyed these new irons ,they are a little longer and easier to play than my old XHot pros. I really am looking forward to the season ahead. By far the best, most forgiving club I have ever owned. Ball jumps off the face and it is very easy to work the ball. I have already gotten rid of these clubs ... very nice looking clubs but coudnt hit them ! forged club not very forgiving at all !